Invasive species are one of the main threats to biodiversity. When an alien species is introduced into a new environment, fast identification and definition of management strategies may avoid or minimize impacts. When an invasive species is already established, the most adopted approaches are population control and monitoring. In order to perform such strategies, assessment of characteristics of the invasive population is imperative. This study tested a new method of population size estimation and monitoring in an invasive population of crayfish Procambarus clarkii in a conservation area in the Atlantic Rain Forest (Southeastern Brazil). The population dynamics was studied for 1 year to examine the efficacy of the selected method and to evaluate if the population is stable. Later, the effect of periodical removal of animals on the population size was tested. The method of population estimation used in this study proved to be very effective. We recommend using it to monitor invasive populations of P. clarkii. The population size varied discretely over the year with variable but low growth rate, indicating that the population is already established which introduce a notable threat to native species. The continuous removal of specimens proved to be inefficient since the growth rate was higher after the removal. One intensive removal event might be more effective than a continuous moderate removal as the one applied in this study. We are thankful to the National Council for Scientific and Technological Development of the Brazilian Government (CNPq) for a productivity fellowship granted to PBA. This research was also supported by the Coordination for the Perfecting of High Education Personnel (CAPES), the Graduate program in Animal Biology (UFRGS), and the Institute of Bioscience of the University of São Paulo (USP). We also thank the Comissão Técnico-Científica do Instituto Florestal de São Paulo (COTEC-SP) for fieldwork authorization, Portal Action (http://www.portalaction.com.br/) for statistics support, and reviewers for comments and suggestions for the improvement of the MS.
Rodríguez, C.F., Bécares, E., Fernández-Aláez, M., & Fernández-Aláez, C. (2005). Loss of diversity and degradation of wetlands as a result of introducing exotic crayfish. 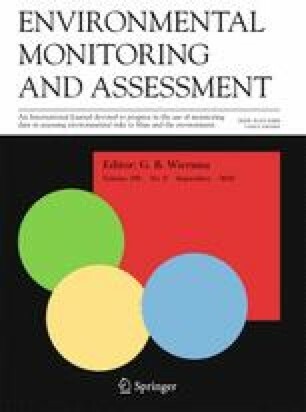 Issues in bioinvasion science: EEI 2003: a contribution to the knowledge on invasive alien species, pp 75–85, doi: https://doi.org/10.1007/1-4020-3870-4_7.